Love the sounds of pop-punk & 90s & 2000s alternative? 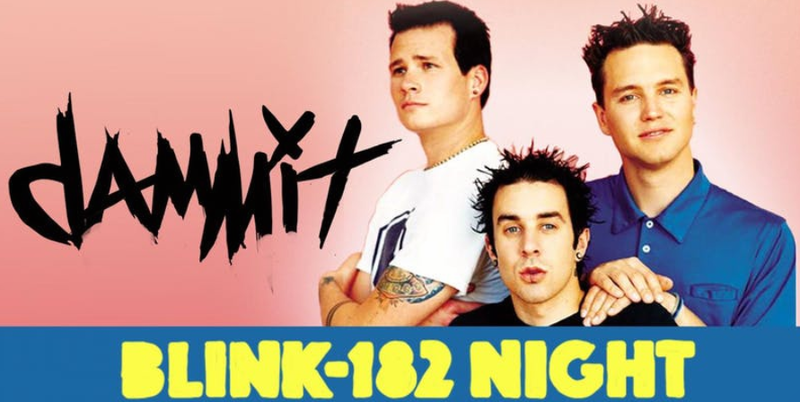 Then you won’t want to miss the dammit Blink-182 Tribute Party! FREE ADMISSION BEFORE MIDNIGHT WITH RSVP! 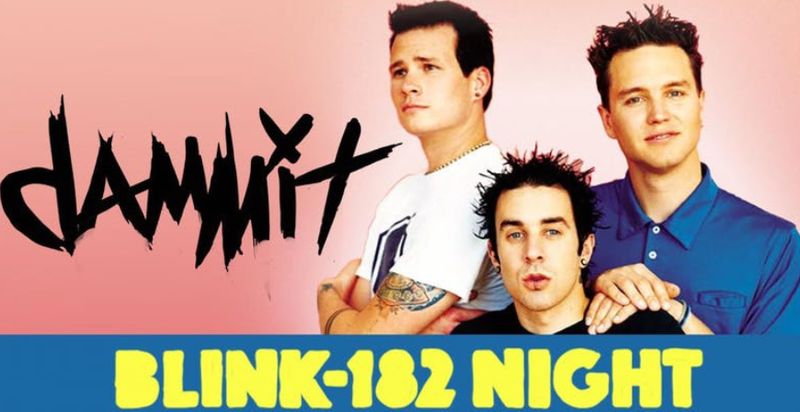 Blink-182, Green Day, The Offspring, Sum 41, Yellowcard, Good Charlotte, Less Than Jake, Rancid, Pennywise, Fall Out Boy, Box Car Racer, Angels & Airwaves, +44, New Found Glory & More. 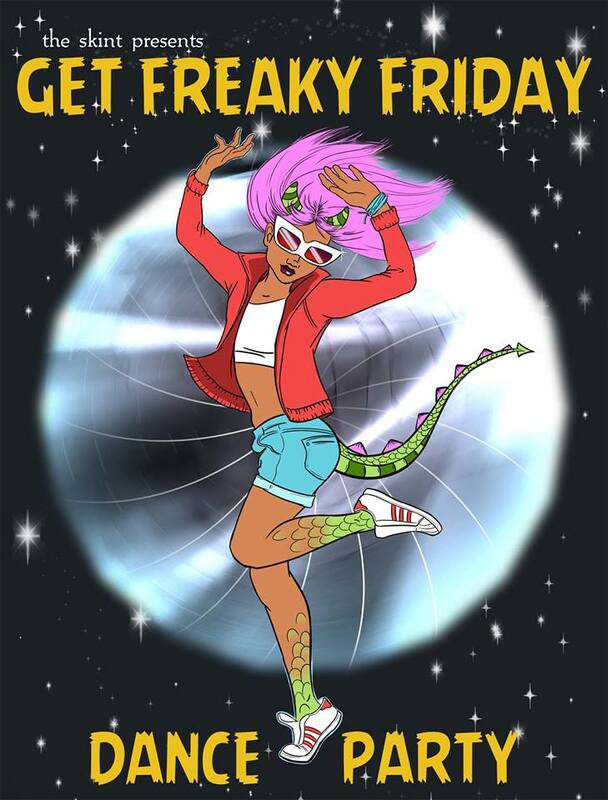 Join our pals the skint as they present the Get Freaky Friday Dance Party! It’s been over a decade since Rihanna first warned us we were living in Disturbia, and things are looking darker than ever. 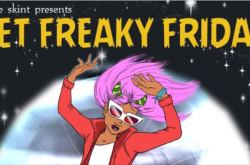 But on a Friday in May, we’re giving you the chance to switch bodies with your past self at the skint’s Get Freaky Friday dance party, a sweaty night on the dance floor set to the music of the mid-2000s. On Friday, May 18 at 10:​30​pm, come out to Brooklyn’s littlefield to Dip It Low and 1, 2 Step to all the best tracks from the heart of the double-zero decade. DJ Donwill will help you Lose Control to all the classics, from Missy to Timbaland to Busta Rhymes. Dress in Whatever U Like, and get ready to Get It Poppin! Harlem’s extraordinary live music series ushers in the fall season at Harlem Nights on Friday, September 30th, with special performances by emerging Latin R&B sensation from Queens, Kelby, the sultry Afro-Latin, Pop/Soul singer/songwriter and model from The Bronx, Isa, and American Idol competitor Kola Rai. Space is limited, and admittance is on a first come, first served basis, so early arrival is suggested. Hosted by afrobeats/hip hop maestro Ayoinmotion, Uptown Soul Lounge has made its name for bridging the gap between generations, blurring lines in the soul spectrum, and forging Harlem’s new hotbed for remarkable emerging talent in soul from around the world. On the heels of his stellar opening performance for Rotimi (of the sensational STARZ TV series, ‘Power’) at SOB’s, Kelby brings his blend of contemporary R&B with Latin roots to the Harlem Nights stage in support of his recent summer release ‘You’re Welcome.’ Featuring production by Grammy-nominated producers K-Quick and SamTrax, the eight-track EP is laced with a combination of sutlry bedroom jams and urban pop. The granddaughter of famed Cuban vocalist and actress Isaura Mendoza, Isa (born Isa Marina Lopez) is an extraordinarily talented Bronx-born singer, songwriter, and model who has earned rightful comparisons to Alicia Keys, Selena, and Aaliyah. Isa’s music is reflective of her multi-faceted personality, soulful roots, edgy exterior, and overpowering vocal ability (she’s a trained Dramatic Soprano with a range spanning from D3 to D6). Inspired by the legendary Maria Callas’ performance in Puccini’s Tosca, Isa, at the age of 14, enrolled at The Marianela Sanchez School of Music in the Dominican Republic, where she was classically trained and mentored by celebrated Lyric Soprano, Marianela Sanchez. Her debut EP Montage takes on contemporary pop music. After graduating college Isa joined forces with a local production team for the hit “Higher.” Now training with New York Vocal Coaching director David McCall, Isa is prepping the release of her sophomore project ‘Mirrors’ Volume I. Taking a page from the greats such as Whitney Houston, Mary J. Blige, and Tina Turner, Kola Rai exudes mounds of emotion with her vocal range, and stirring blend of soulful pop, hip hop and r&b. 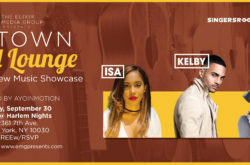 The multi-instrumentalist, singer/songwriter, and dnacer was an American Idol finalist and has swept talent competitions across the Tri-State area, leaving fervent standing ovations in the wake of her performances. Join Powerslug as they present their an ode to our city, or just call it an all-night drunken sweaty dance affair, but either way this party is a celebration of the sounds of New York City, curated by some of our favorite local musicians and DJs. 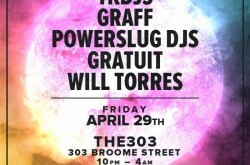 This party’s free and it’s for you, so help them spread the word and they’ll see you all on April 29. Don’t forget to bring your dancing shoes to Broome Street.